How YouTube's Watch Time Algorithm Works? Over 1.8 billion of the netizens use YouTube for watching videos online. And they don’t just browse cat videos (although these sure are fun to watch). Data reveals that every 1 in 4 YouTubers also prefer to watch a video or an ad made by a brand. 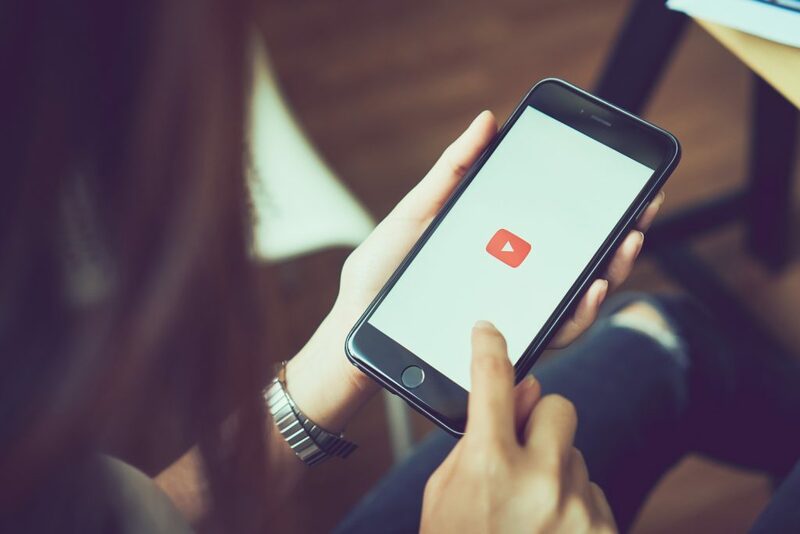 While that’s a good sign for marketers to continue their YouTube video marketing, don’t forget that every minute 400 hours worth of video content is uploaded to YouTube. So your precious video might just get buried under too quickly unless you have a huge fan following. Or if you have figured out how YouTube’s video ranking algorithm works. If you think that increasing your video views is all that you need to rank up your video content in Youtube, think again. Youtube rolled out its major algorithm change back in 2012. The content delivery mechanism became much more rich with “watch time” becoming a crucial factor. This meant that video creators now had to optimise their efforts in accordance with the shift to rank higher in the search results. YouTube’s algorithm is complex and involves a number of complex variables that need to considered, So we created this guide to help you figure out how this “watch time” metric works and how you can use that knowledge to make your videos rank higher. If your business is making use of YouTube for product marketing or awareness, it is important that you understand this algorithm and adjust your video content accordingly to increase the chances of it getting viewed. To define it simply, the YouTube algorithm is a computerized system that ranks videos according to certain metrics. This determines which videos viewers see when they are on YouTube. Based on what the users are looking for, Youtube’s algorithm provides the relevant answers. The need for this algorithm is important because of the humongous video content that is uploaded to YouTube every single minute! So the algo sorts through this pool of video content to provide a meaningful way for the search engine to deliver content to its audience. In short, the algorithm follows the audience by matching their results to viewer’s preferences. What is important to note here is that the algorithm decides not only what a visitor sees when they search for videos, but also what they will be shown when they visit other sections of the website such as Trending, notifications, suggested videos and Youtube homepage. In the past, YouTube’s algorithm paid the most attention towards the number of views that a video was getting. This means that the ranking was determined by the total number of times a video was “played”. The higher the views a video received, the better its rank. There was no measure of the viewer engagement or how long a viewer watched a video. Creators didn’t focus on engaging their viewers and relied on unnaturally stuffed keywords, spammy descriptions and clickbaity thumbnails to generate more clicks. Fortunately though, YouTube identified these problems in 2012 and changed the way that their algorithm works. Now, YouTube favours the metric of watch time above everything else. Through this, the algorithm now prioritises engagement over the number of clicks. This change has proven to be a much better measure of how engaging YouTube videos are. The watch time metric monitors how long each viewer watches a particular video. According to YouTube, this metric is applied not just to the individual videos but also to entire channels. However, a common misconception is that watch time is proportional to the length of the video. Well, that’s so untrue. You cannot improve the watch time simply by creating longer videos because the content of the video matters more than its length. According to YouTube’s algorithm, a 60-second video that is watched from the beginning to the end will rank higher than a 20 or 30 minute video that is watched only for a couple of minutes. YouTube’s algorithm calculates the watch time while considering the video length to ensure fair results. The best way for improving watch time is to improve the content – produce videos that the viewers want to watch, and it will automatically boost your ratings. Adding further to what we explained in the last section, let us define watch time as YouTube explains it. According to YouTube, the watch time is “The amount of time that a viewer has watched a video.” But this doesn’t give a full idea of the metric. To think that high completion rate is the only criteria for cracking the Watch time code is a mistake. Also, people tend to think that the way around it is to you stretch a short video into a long one. However, it is crucial to know that this actually reduces the watch time. What you really need to focus on is audience retention and session completions. The amount of time that a viewer has watched a particular video is measured in the actual minutes, seconds, and milliseconds – this is the estimated time watched. Audience retention is associated with this too – and this retention can be measured in both absolute as well as relative terms; absolute indicates the most popular parts of your video while relative parameter indicates your video’s performance against other video content. The retention rate is a great indicator of the ability of a video to hold the attention of a viewer. Both the estimated time watched, and audience retention are used to determine the watch time for a video. This means that the watch time is more than just the video itself, it is about how a video contributes to a user’s time spent on YouTube. While high completion rates are important for individual videos, the watch time per session is also very crucial for YouTube. If you want the channel algorithm to favour your videos, you should keep the session time in mind. YouTube’s goal is to keep the users satisfied and to keep the viewers on YouTube. So if your video is making the viewer engage with more content on Youtube, it is contributing to the time they spend on the platform. So the higher the sessions, the greater is the quality of interactions and better is the watch time. So the watch time is not just about how much of a video is being watched but instead, a measure of how much has the video contributed to the overall time that the user spends on YouTube. Watch Time is just the peak of the iceberg. There are still more factors that you need to consider for optimising your Youtube videos. Among those, keyword and meta description play a big part too. Although maybe not for long. Google is testing out one Video Intelligence API. Once that feature rolls out, search engines, including that of YouTube, would be able to identify the video content. No more dependency on the user-given meta description. In the old days, the number of views a video generated was important but YouTube is always improving its algorithm. Watch Time is an example of YouTube’s attempt at providing a more consistent and fair metric for video ranking. Tomorrow, this Video Intelligence API might just change the way you think of video SEO. 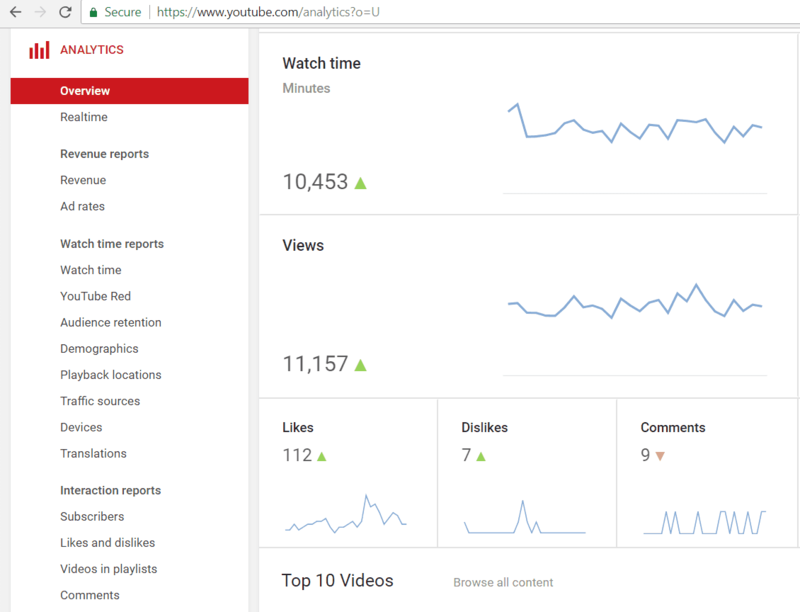 So keep yourself updated with the YouTube algorithm rollouts, and you will understand exactly how you can rank up your videos in Youtube. And, yeah do share any tips you have got on Youtube Video marketing. We are all ears! Vaibhav Kakkar is the Founder and CEO of Digitalwebsolutions.com, a digital marketing firm which helps agencies accelerate their growth. You can often find him crafting new marketing ideas or exploring the intricacies of the web. Connect with him on LinkedIn.